We went to Osea, a creepy island only accessible by an ancient causeway at low tide times, to manage unit publicity and production marketing on set of the upcoming British hammer horror film Writer’s Retreat, which premiered at Sitges Film Festival in 2015 and is set for general release in 2016. 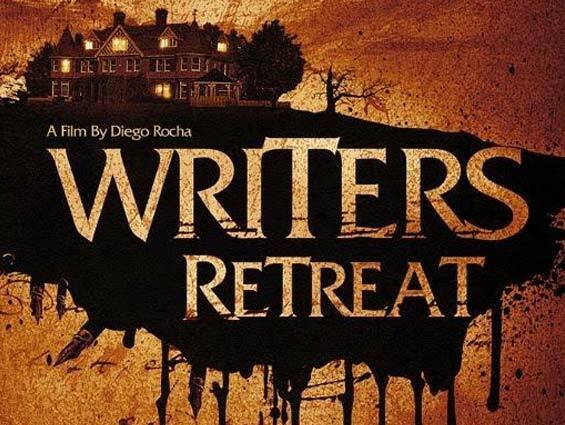 A MoliFilms production, Writer’s Retreat stars Chritsopher Fairbank, Camilla Beeput and Poppy Drayton. Mark Twain famously said ‘write what you know’, but how far would you go to find the material for the ultimate best-selling thriller? On an isolated island a group of strangers come together for a writers retreat weekend to develop ideas for their novels. When a member of the party mysteriously disappears it becomes apparent that either one of the writers has murder in mind, or is there something else altogether more sinister on the island? We invited horror enthusiasts and local media on-set to experience the unique setting of the production, and watch some of our key scenes being filmed. We also threw a Halloween party on the last day of filming for our supporters. Legendary British publication Bizarre Magazine ran a 4-page feature about the film and Osea Island in their final farewell issue in January 2015 and Mail Online published exclusive video footage. We secured various journalist and blogger visits for on-set features and interviews, to be published in line with the films release.